Crete, Greece is the biggest island of Greece loaded with everything from Greek cuisines, historic forts to the exquisite scenery. Some say it is a small “country” by itself. Thus, there are lots and lots of things to do in Crete, Greece. Planning your vacations? If you are wondering where to go this year, the answer is simple; Crete. Due to its rich culture and large size, Crete is perfect to go with your loved ones and offers amazing things to do as we will explain. Many return to the island again and again, as you need many summers to explore it in and out. How to Get to Crete island? What to See in Crete, Greece? Where to stay in Crete? Crete needs good planning. You may not be able to see all of Crete (even the most popular locations) in one visit, even if you stay 15 days in Crete. Know your budget limits, especially if you plan to have an extreme nightlife or stay for many days. You will need a car unless you plan to stick to just one place or book only guided tours (click here) that include transportation. There are many day trips from GetYourGuide, Viator and Interpid. Prepare to drive a bit. Cretan roads are fine but takes long from place X to Y. Scenery is great though. Pre-calculate distances and time to get to each landmark, beach or other. That is the best way to eventually choose accommodation options and activities. Use Google Maps or ViaMichelin. Summer time in Crete is hot. Plan your clothing & gear accordingly. If you plan to engage to lots of hiking (Crete is ideal for that too) then better read this summer hiking guide. Better avoid staying inside the city of Heraklion. In general avoid staying inside the 4 big cities of Crete, with some exceptions for Chania and the Old Town of this city. If you come from Europe then your Internet Data package is good for Greece too. An online app for Crete will be handy (or Google Maps). Get one for your device. No worries if you missed to bring anything regarding your electronics, chargers, etc. You can find anything in Crete. As we said, Crete is considered an -almost- autonomous small “country”. 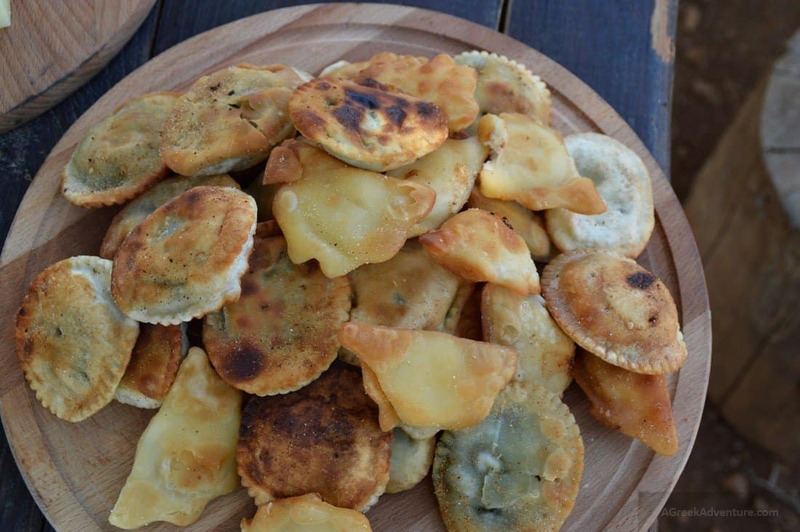 Most get astonished by Cretan cheese, oil and herbs. That is why Cretan diet is very popular. Ask for the process on how you can bring some of these back to your country. Yes, most do. Don’t deny a treat. In Greece it is called “Kerasma” and even strangers may offer you with such. You will get such in many places, especially in villages. Not good to reject it. It usually involves liquor like “raki/tsipouro” and some snack. As always have travel insurance. Read why. There are lots and lots of flights, from Athens, Thessaloniki and connection flights inside between some of the Greek islands. You can also take the ferry from Athens leaving at late night (book a cabin) and be there at morning time. Check prices for Flights to Crete island from here. From Athens (anek.gr). Calls at Chania. From Athens, Cyclades islands and Rhodes (anek.gr; hellenicseaways.gr & minoan.gr). Calls at Irakleion. Hot tip: You may don’t know this but you can combine your vacations in Crete with Santorini. There are ferries from Crete going to Santorini island. For ferry prices and options, click here. When you land in Crete, you could have so many expectations of things to do. However, starting your vacation by learning its rich history and culture would be a great thing as this will help you to familiarize in the place and have an idea of where you are. In addition, learning the history would not make you feel like a stranger in a foreign land. Cretans are a proud and particular type of people, famous for their hospitality, good food and -some times- “boiling” temper. This Sacred Monastery is a beautifully erected building perched within the countryside of Crete. See the post from our combined experience! Its 20 kilometers from Rethymnon and with a car, you get there in a blink of an eye. When you get here, visit the tower bell and have a close view of the Corinthian columns. There are the famous sites like the Minoan Palace of Knossos, the Phaistos Palace, and Kato Zakros. 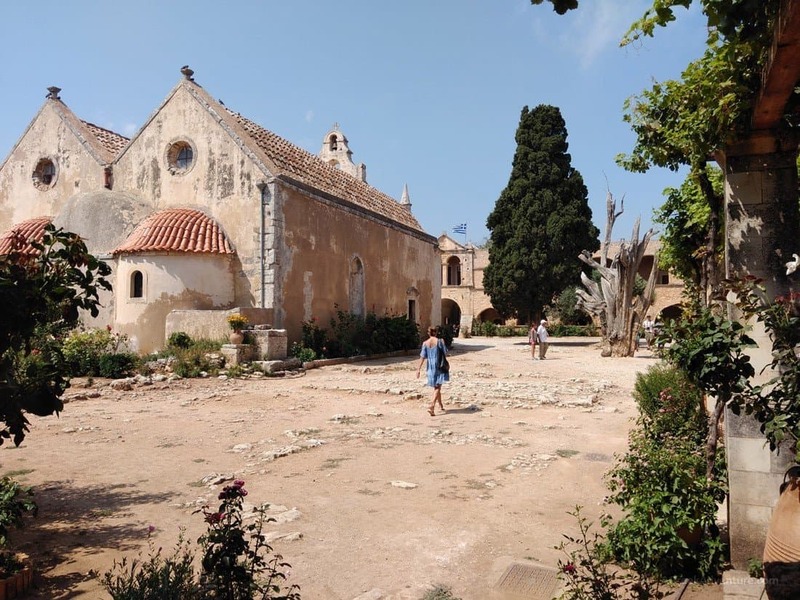 There are also monasteries erected in the 15th centuries such as the monasteries in Southern Heraklion (also pay a visit to Heraklion archaeological museum), Preveli monastery in southern Rethymno, and Arkadi and Toplous monasteries. When you come here, you travel back in time to wander around the castles of the region that were erected by Byzantines and Venetians, such as the Kazarma castle in Sitia, Kastelli in Chania, the castle of Heraklion, and the Monte Forte in Lassithi. If you want to dig deep into the Crete’s culture, you can never be more satisfied than visiting the museums located in Rethymno, Chania, and Heraklion. Other museums to visit include the El Greco Museum in Fodele, Nikos Kazantzakis Museum in Myrtia, the Cretaquarium and the Historical Museum of Crete. 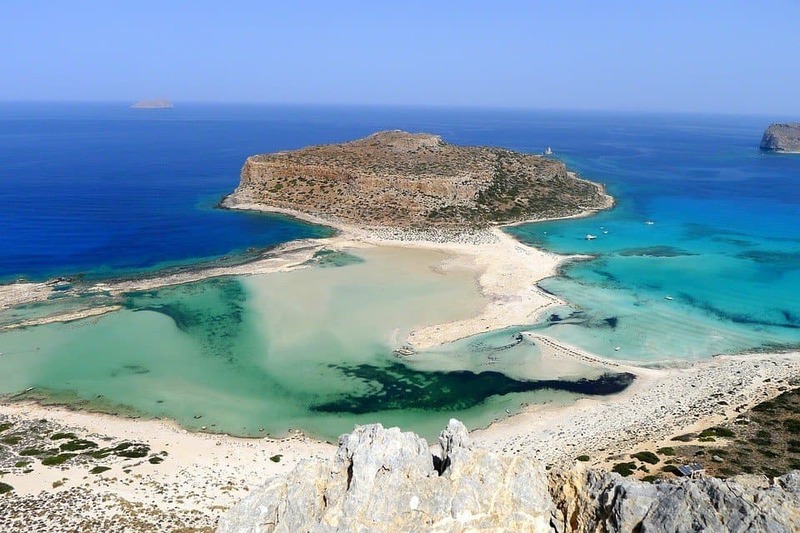 Once you visit any of these places depending on your locality, you’ll definitely have something to say about Crete and you’ll hope to do more things in this amazing Island. Spinalonga is a tiny island that belongs to Crete and with a boat, you’ll be there with a blink of an eye. 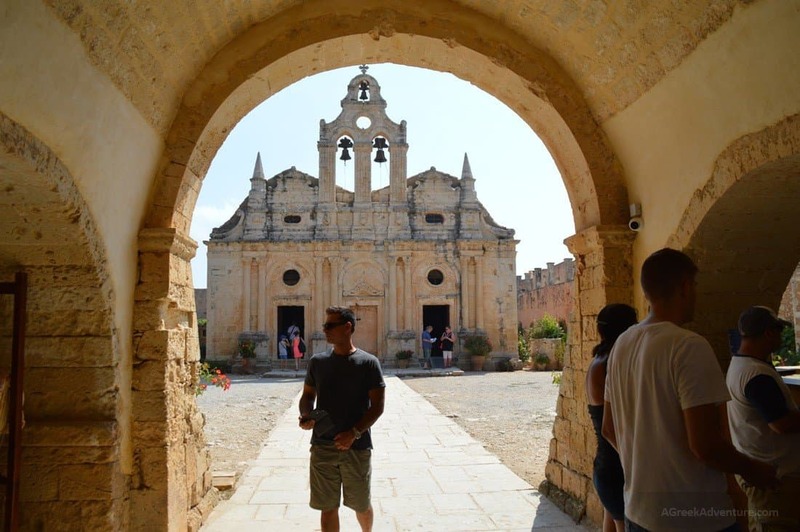 It is perched in the northeast of Crete and it’s one of the best places to learn more about the island’s Venetian histories. Even though it’s tiny, you’ll be amazed by its turbulent past and besides enjoying the amazing watermarks and the breeze of the island, you will also get an opportunity to learn more about the Venetian conquering, historic Arab raids, and Ottoman occupation before they were turned into a leper colony. If you are looking for a peaceful place where the wave of the waters makes you forget about all your bad memories, Spinalonga Island is the place to be. .All you need to do is to pop on a small boat that leaves Elounda every thirty minutes and head there with lots of expectations. If you are tired of the waters or you’d like to have a break from the beach life, don’t worry as Crete is a place with all things for everyone. Head to the Holy Trinity Monastery which is not too far from Akrotiri and when you get inside, you’ll be amazed to see the best-gilded interiors you can find on Crete. And if you love cats, the Holy Trinity Monastery is filled with them. Take one and place it on your bosom and take a picture. If you love the waters and would like to feel its chilliness leaking down from your legs to every part of your veins, heading to Seitan Limania beach would be a dream come true. Even though it is pretty small, it is a hot cake and everyone wants to go there to feel the waters. Therefore, it’s a good place to take your family or loved ones and associate with other tourists who go there with the same objective as you. It’s a really beautiful place and if you’d want it all by yourself, pop over for an early morning dip any day from Monday to Thursday. If you love nature, Balos Lagoon has the best hiking routes you can ever dream of and great to see. If planning to come here, arrive early in the morning as this is a famous tourist attraction and around midday, it’s hard to access it due to the rise of crowds and mercury. If boat riding is one of your best experiences, take a boat from Kastelli and you’ll be at Balos with a blink of an eye. If you want to have an amazing view, go to the Balos Beach trail and you’ll see many viewpoints where you can stop by and take as many selfies and group photos as possible to take them with you home and show your friends what they missed. Driving to Stefanou Beach is not for the faint-hearted and when you decide to go there, there’s no turning back. The narrow road is zig-zagged and straight down and when you look at where you are heading to, you may feel like it will be your last time to breathe. However, when you find the way to the beach, you’ll be glad to have found a beach and forget all the bad memories you may have. The beach is isolated and many tourists hardly get to it due to the hard trek, but once you get here, you realize the golden opportunities they miss out. You will get an opportunity to deep yourself in the sand, get down into the beach and sunbathe. Whichever means you find entertaining, take selfies and group photos to show the world what they miss on this beach. 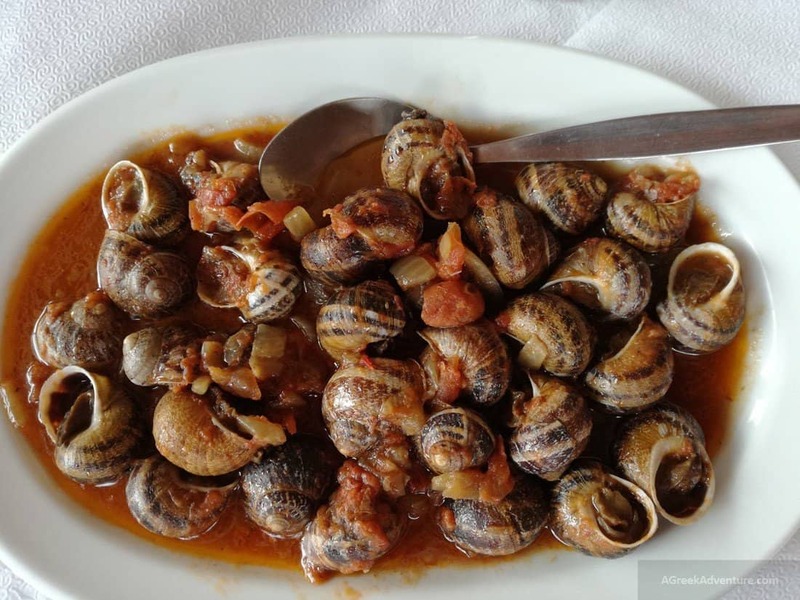 After deciding that you’ll be going to Crete on a vacation, the first thing that pops into your mind is food. How is food prepared in Greek? What are the ingredients? And the recipes? How does the Greek food taste? Well, all these questions can be answered only when you eat as much Greek food as you possibly can. 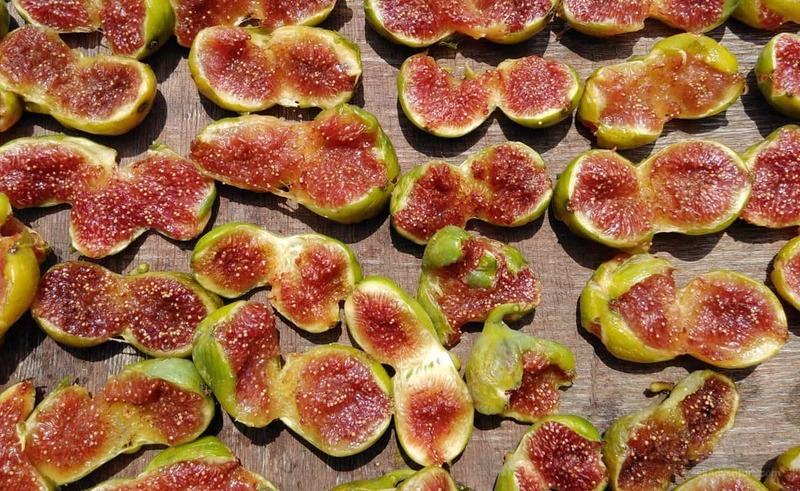 Eat everything you can and try Dakos which is basically made from lumps of ripe tomatoes, rusk, lashings of Greek olive oil, and sheep’s cheese. If you love fishing and eating seafood, your visit to Crete would be incomplete without visiting Loutro. 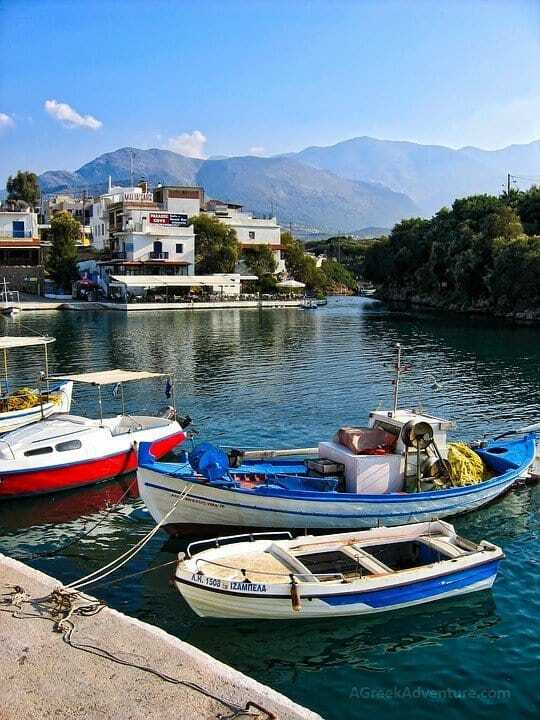 It is perched on the south coast of Crete and many people refer to it as a small fishing village. Coming here takes you back in time to the old Greece and even though the town is less developed, it’s a hidden treasure. 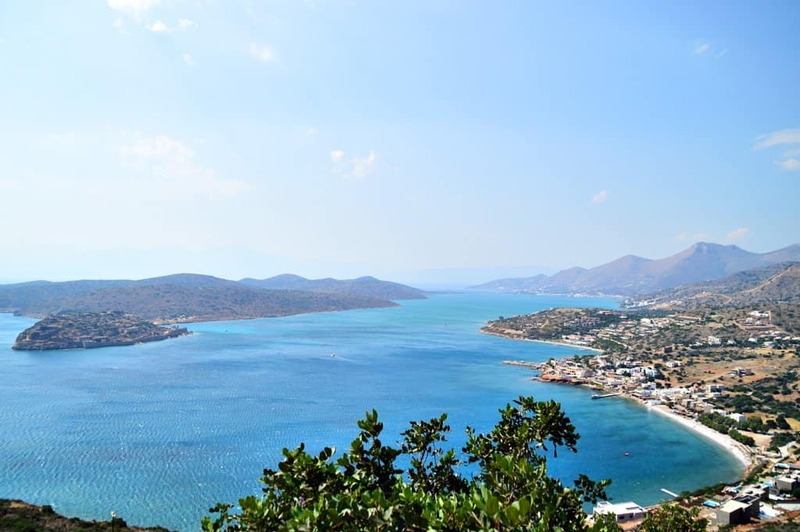 One of the unique things about Loutro is that it’s not accessible by land and for you to get here, you must use a boat. Once you get here, take as much time as you can and relax on the waterfront. Watch as fishermen deep their nets into the waters to capture the fish, and if you can, joining them would be a great idea and experience on how fishing is done in Crete. Take as many selfies and group photos you can to keep as a memoir, and grab some seafood for yourself. If you are the kind of people that love architectural designs, heading to Rethymno would be a great idea. Once you get here, you will have a close view of the old historic town and take as much time as you can to explore the narrow, cobbled streets and stop by to take a selfie or group photos to take back home. Also, find the Venetian Harbour and have all the fun the world can provide. There are many cafes around and stop by and have a taste of Greek cuisine and for a frappe. 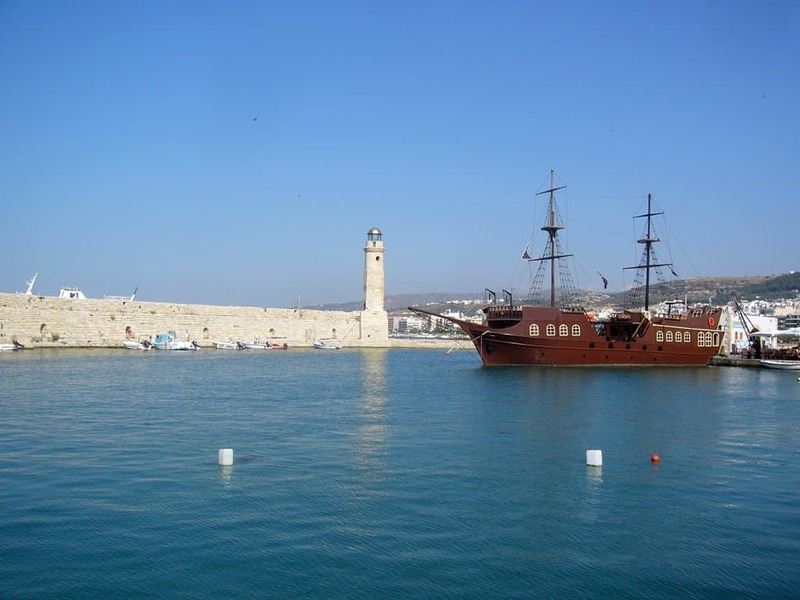 There are lots of things to do near Rethymno. 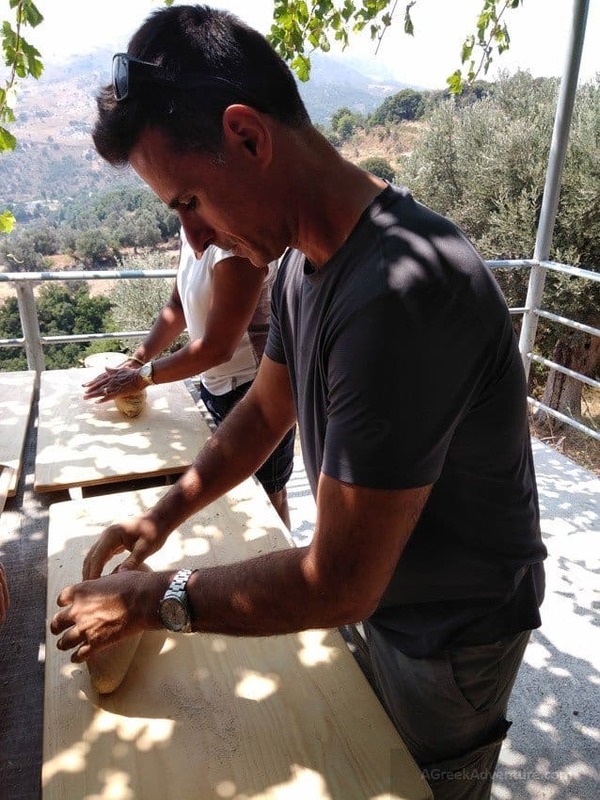 You can even take lessons to bake your own bread and taste local foods. By no chance one of the most visited cities in Crete. 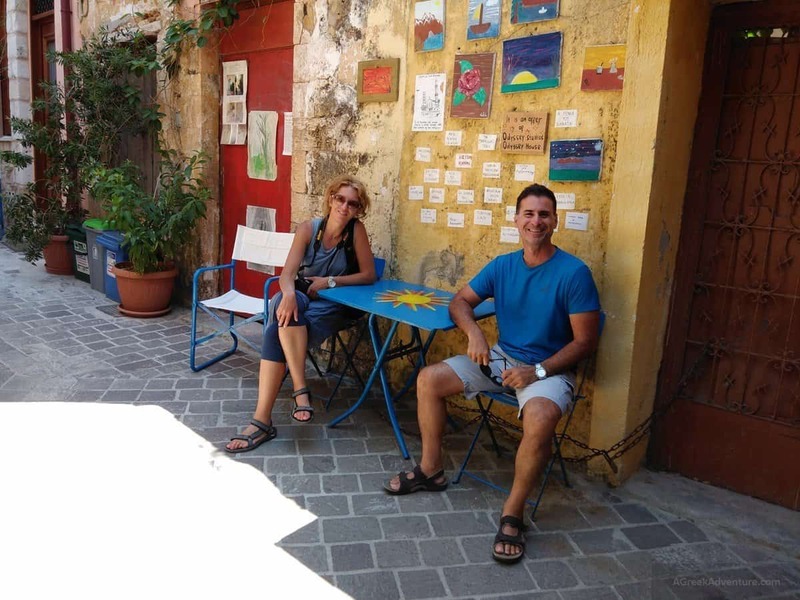 Read our post from spending a day there, touring all the different things Chania has to offer. A completely different aspect of Crete is Lassithi area, next to Agios Nikolaos. Wild and rocky, with strange beauty, gorges to walk and bright blue sea colors. 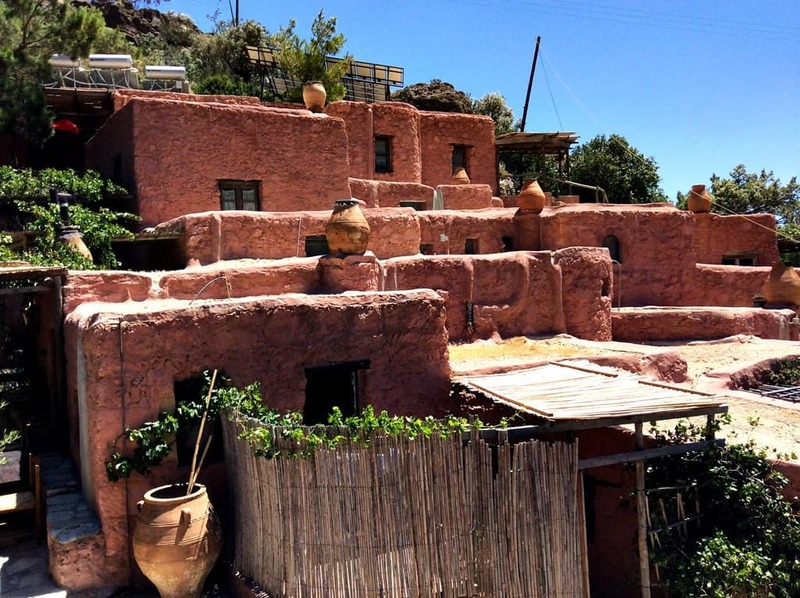 We stayed at the traditional village of Aspros Potamos where there is no electricity!!! Due to the vast amount of land and morphology of Crete, there is a multitude of available outdoor activities for air, water & mountain lovers. If you are so passionate about hiking, getting down to the Samaria George National Park would keep you in the right place. Here is a post from our experiences doing that Gorge. Samaria Gorge is 16 kilometers long making it the longest gorges in Europe. It’s epic with stunning views that will keep your eyes active all day long. The hike starts at the Xyloskalo trailhead and you’ll have so much to see. You do not have to worry about getting hurt along the way or not finding your way back as there are mules that pick their way along the trail to help any hiker who needs an urgent help. Along the trail, you’ll see different signs on what to see along the way including fauna, and structures. There are different flowers and if you are with your lovebird, pick his or her favorite and show your love by delivering it to them. Some of these flowers that grow on the plateaus are dragon arum, peonies, white asphodels, marjoram, irises, anemones, and yellow phlomis. As you continue hiking, you’ll not only see trees, shrubs, and flowers but you’ll also see remnants of villages and little churches along the way. Hold the hands of your friend and get into the open churches and take as many pictures as you can. After the hike, join other hikers in a café and as you order delicious Greek cuisines, enjoy a freshly squeezed juice, ice cream cone, and a cod Greek beer. 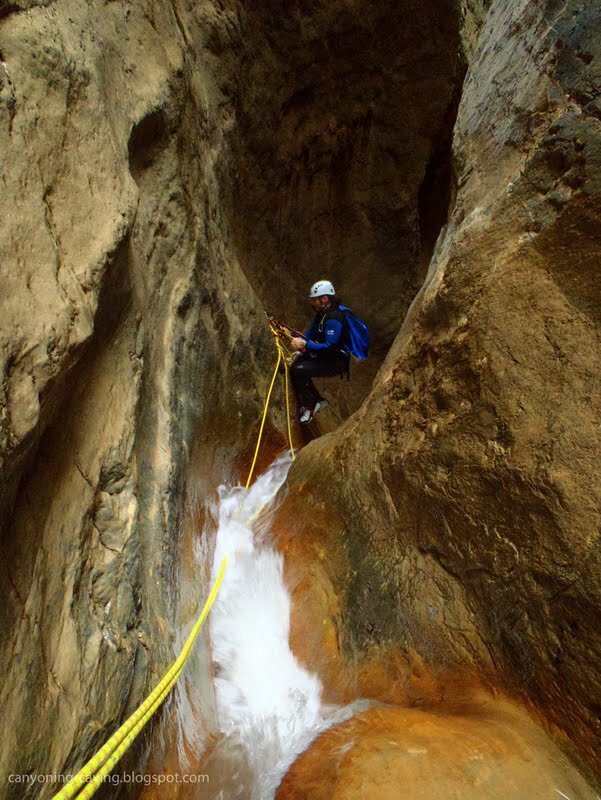 Ha Canyon in Crete is a particularly beautiful, imposing and narrow canyon which has a very important place among the canyons of Crete and all other canyons and Greece. It is located on an active rift, has 26 technical descents. Its walls are 200-300 meters high, vertically standing and evoke awe in many points. Read the full post from here. Well… if someone tells you they were hiking Mount Ida (Psiloritis) in Crete, better ask them which part and which side. Mount Ida, also known as Psiloritis (translates to: Tall Mountain), is the biggest mountain of Crete. 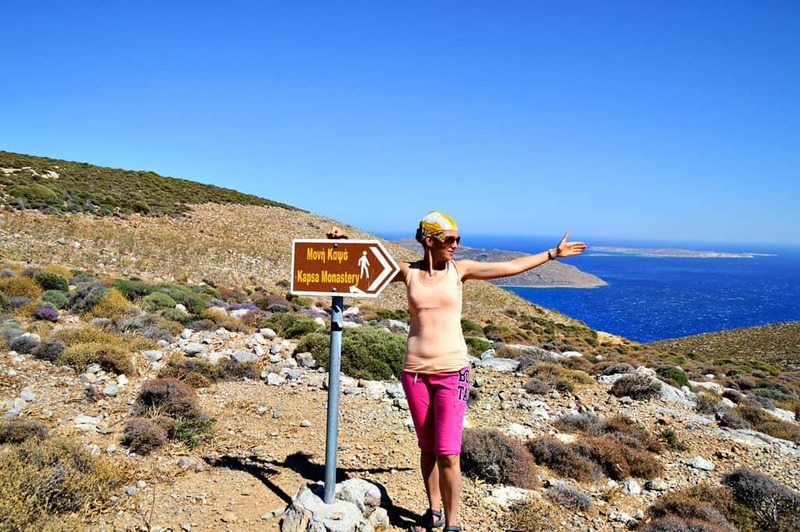 Crete is a huge island, so you understand that hiking Mount Ida is not just a… simple hiking. Read the post here. This island has so many mountains that they provoke you to hike them “if you dare”. 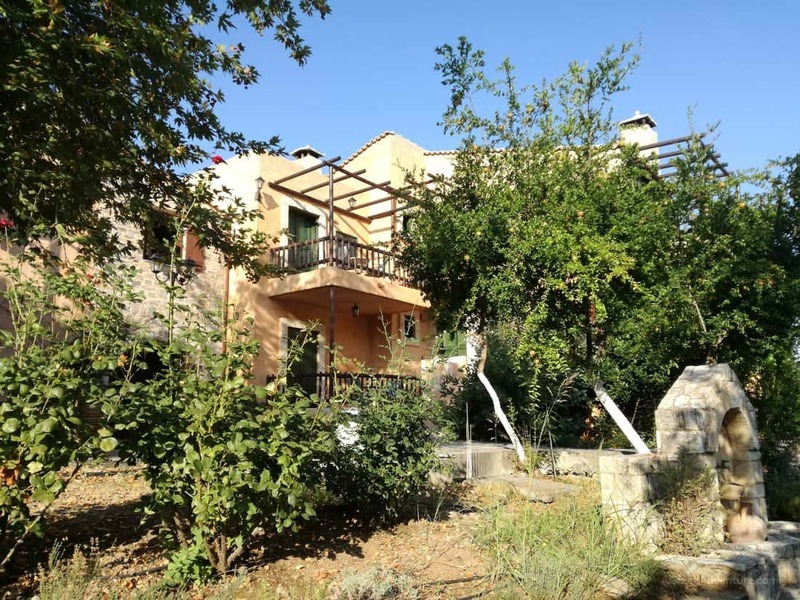 The tough combination of really hot and strong sun, with the wild terrain of Crete, speak out: Start early in the morning, or else… Combine this with staying at Enagron Ecotourism village; a superb experience and one of the best places to stay in Crete (in that area). Read about this hiking experience of ours from here. 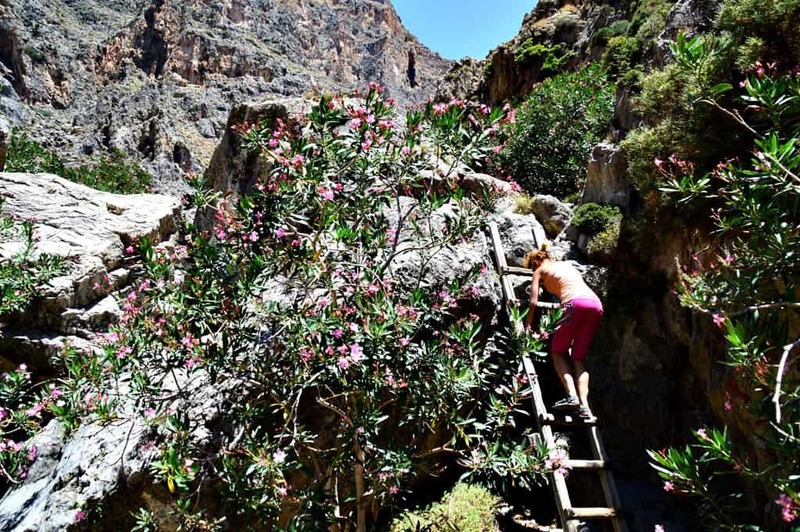 One of the top ten gorges to hike in Crete! 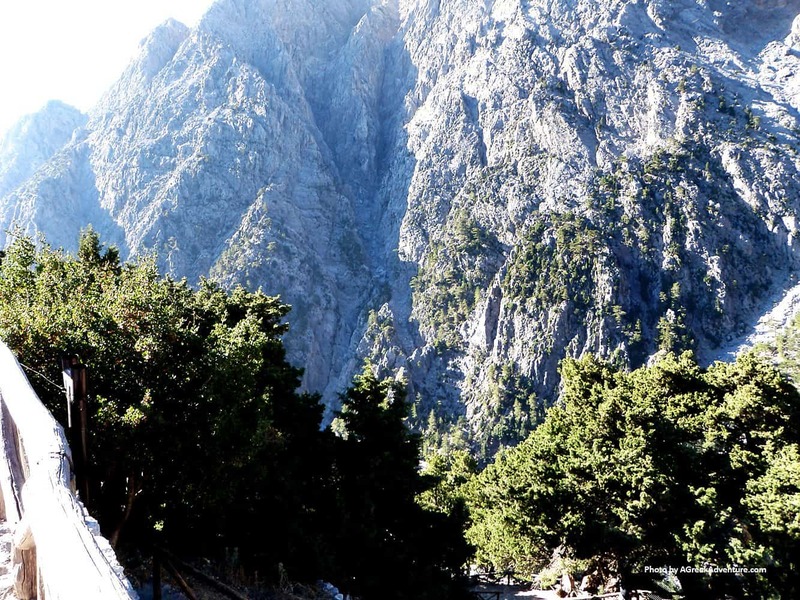 Patsos gorge is a must explore one when hiking in Crete. It is near Rethymno, Crete. The gorge is almost all covered with trees, so there is plenty of shade. Read the full post for Patsos Gorge. 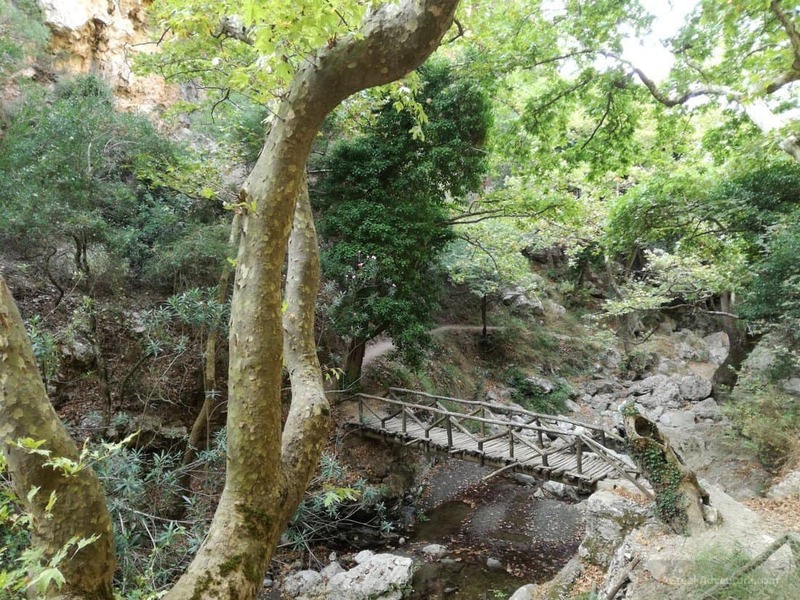 The Pervolakia gorge in Crete, also known as Moni Kapsa gorge due to the monastery of Kapsa. Full post for Pervolakia Gorge from here. We really enjoyed the gorges of Crete. As you know, from our other stories, when there is a gorge (or an opportunity for hiking and trekking) we would grab it and we would definitely go to walk through its route. Read the full post for Pefki Gorge, with photos from here. The lake is the only freshwater lake in Crete. Even though it’s not too massive, it lies in the valley among rolling hills and a wonderful place to stop by and enjoy the clear, blue fresh water. If you’d want to dig deeper and watch closely the water waves, rent a paddle boat for €5 and go as far as you want. Don’t forget to take selfies and share them on social media for people to see how clear the water background is. Since Crete is an island such an activity wouldn’t be out of scope. One of the best ways to explore the coastline, though you may need to engage in a multi-day trip to see a good fraction of it. Read about it here. One of the most popular activities in Crete. Crazy, right? There are lots and lots of friends and blog fans who ask us where is best to go for paragliding in Crete. This activity is rather popular to single persons and families! Read more about tandem paragliding in Crete from here. You heard that right! Heart pumping, excitement goes to Defcon 1, then you jump! Would you do it? 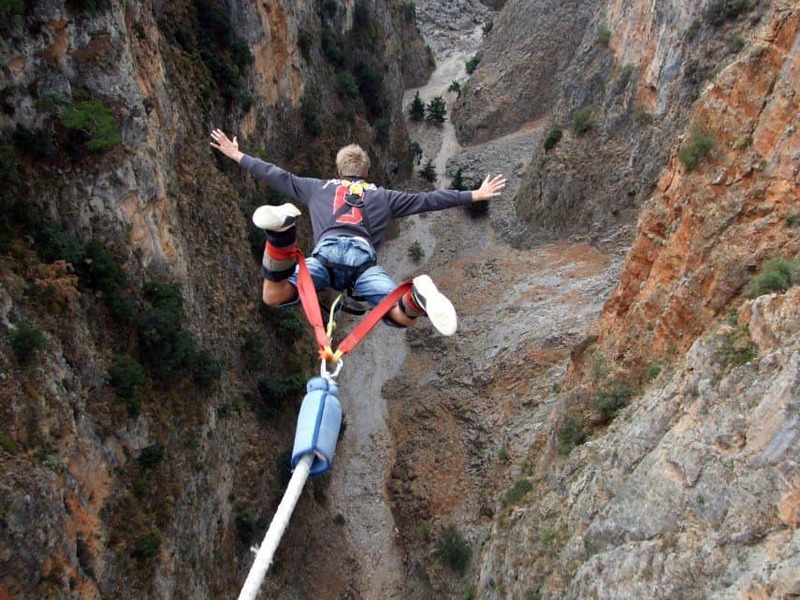 Would you have your adrenaline spike high and experience an actual Bungy jumping free-fall? Would you confront your own limits and courage, but in a safe back-to-earth-after way? See more details for the bungy jumping experience, here. You may don’t know this but Crete is one of the most popular destinations for Yoga retreats in Greece. Some of them are organized in hotels while others are organized at special retreats locations near the beach, like Triopetra. This post will tell you more. Most of the locations in Crete can be experienced through cycling. Prepare for lots of “hotness” and lots uphils/downhills. It is quite an experience to cycle in Crete, especially if you plan to go “up to the mountains”. A pretty nice way to explore landscapes and food and take great photos. No hunting, of course. When I first heard of Safari Adventures in Crete I thought, hey… It’s close to Africa but that can’t be it. It has to be something else. Perhaps they are “hunting” a different way of adventures, perhaps they are after photo shooting, or maybe going after tastes and drinks, or maybe hike. Well, they do all those things. Read more here. When you visit Crete, kindly ensure you explore every bit of this island. When you visit different places during the day, you could be exhausted and the only thing you wish is to relax. There are myriads of activities to calm your nerves and if you love partying, Crete is the perfect place for you. Take a warm shower and head to Malia where you’ll eat and drink your favorite cuisines and party the night away with other party lovers. Head to the stage and dance your heart out with your loved ones as you associate with other holiday goers. Do you love wine? If yes, there’s nothing better than visiting Crete and explore the best wineries in the island located in the Heraklion prefecture. Here, you get a chance to taste different wine brands from Greece. 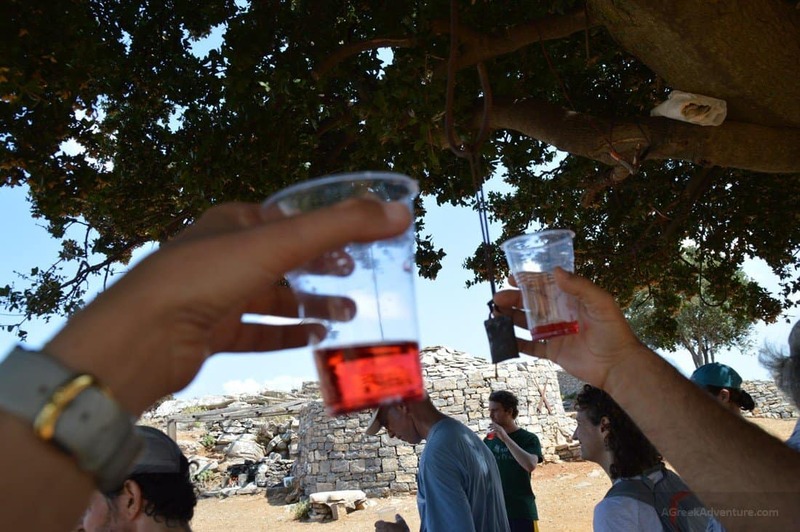 If you happen to stop by Lyrarakis Winery in Monofatsi village, for instance, you’ll enjoy a fantastic wine tasting with cheese for only €10. The wine tasting experience would even be greater if you hire a car and tell the driver to take you through all the various wineries in the region. 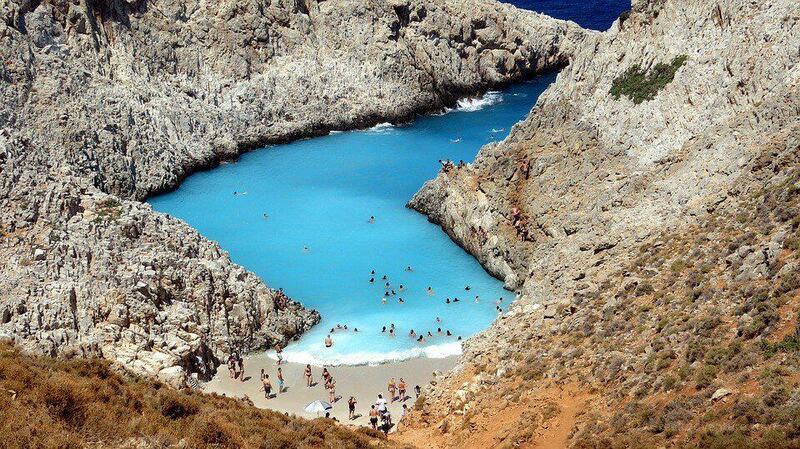 If you love waters, you can never get tired of spending the entire day in waters here in Crete. However, if you are water phobic, you’ll be amazed when you start loving the waves that come from the waters, the sound and the feel of the water and the best place could be no other than Crete. When you get down to Sissi, you will get an opportunity to enjoy fishing, consuming fish and enjoying the attitude and the contagious charm of this village. If you love swimming, Sissi is the best place to dive into the waters and have an amazing experience underneath. There are literally thousands of hotels, apartments, villas all over Crete in a good range of prices and services. The island of Crete is so big that we managed to book last-minute reservations in August and we did find a variety of options we liked. There are all inclusive hotels and guesthouses. There are eco-lodges, and even extreme settlements where you can live in no-electricity remote conditions. The main keypoint is: What is your itinerary in Crete? This will drive your accommodation options. You may need to stay in more than one due to driving time. Crete is divided into 4 main regions. Check accommodation prices for these regions: Chania, Rethymno, Heraklio, Lasithi. Here is how Crete looks like. It is rather big. On a straight line you need 7 hours straight to get from one side to Crete to another. You will not move in a straight line, and if you take the road(s) to mountains then hours will multiply. That is why Crete needs careful planning. Final thoughts on things to do in Crete? Well, there are no final thoughts for this island. We will go back again and again. We loved it and each time (been there twice already) we explore a completely different area. No overlapping at all… Yes, it is that big. There is nothing better than going to a place with your loved ones where you think about nothing than fun. There are many places to relax, but Crete, Greece is an exceptional place in which you should make a point of going with your loved ones. If you don’t know what to do once you get here, the above are the most exciting things you can do for a wonderful experience.